Fearless: Five Ways To Overcome Fear - Fear is something almost all of us will battle during our lifetime, trying to paralyze you from truly living life. This devotional will lead you through five choices that will strengthen you and help you be victorious over fear. I've faced fear, and if I can overcome it, I know that you can too. Thank you for joining me on this road of living a FearLess life. Fear has been around since the earliest of days. It was one of the first emotions expressed in the Scriptures after the fall of man. Adam said to God, “I heard you in the garden, and I was afraid because I was naked; so I hid’. We humans lean towards being afraid. We read throughout the Scriptures of men and women, like you and I, who were worried or fearful. But, God! God showed them how to overcome their fears, and He is faithful to do that for you as well. So, what does fear do? Fear prompts us to cover up what we really feel. Think about it for a moment. Whether you face a fear of failure, fear of rejection, fear of not being enough, fear of losing control, fear of violence, fear of illness or death, or any kind of phobia, you will end up hiding. Fear causes people to hide by disguising who they really are from others (even from themselves at times) or to pretend to be someone else. Fear leads to people hiding from God much like Adam and Eve did in the Garden of Eden. If you wrestle with any form of fear, be encouraged in the fact that others have gone before you and have defeated this stronghold. It takes courage to face your fears. Choose today to trust in God to help you by placing your faith in Him. He will empower you with all you need to overcome your fear(s). Faith is something you can choose to exercise as you engage in this battle against fear. Don't listen to the lie that you cannot defeat it. You only need a little amount of faith to move that mountain. Faith will grow as it feeds on the truth of the Word of God. Faith can bring your hope into reality. 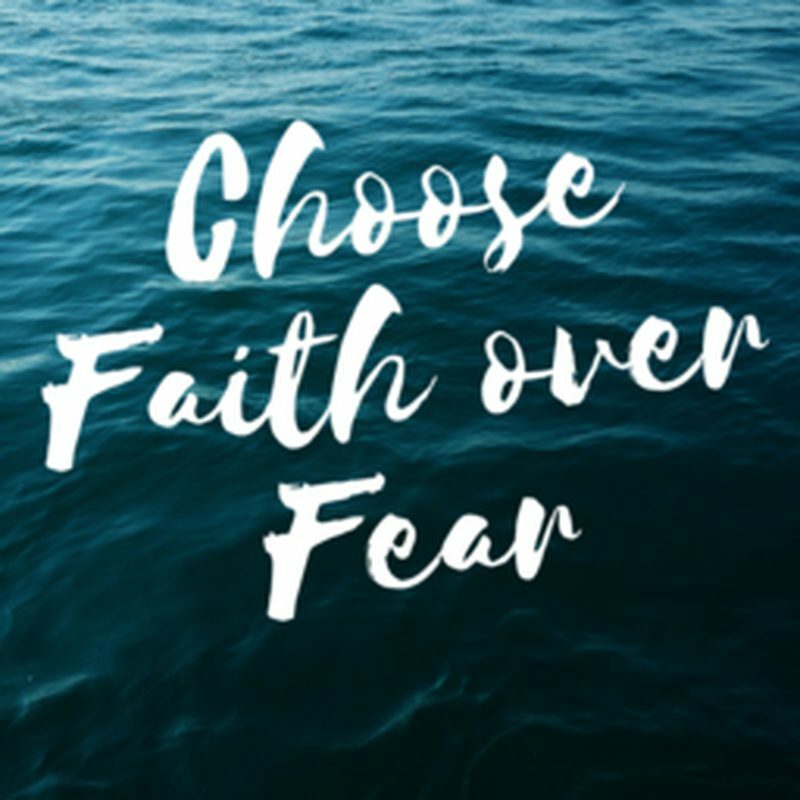 Today, choose faith over fear. When fear comes knocking, will it find faith standing at the door? How can you choose faith today?